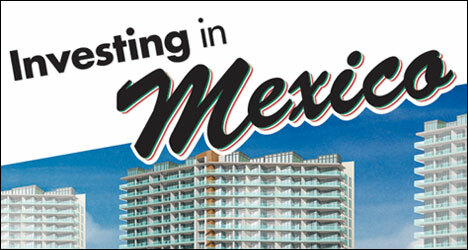 This special feature looks at real estate investing south of the border, from financing and title insurance to current developments in Baja California. The year 2006 is drawing to an end, and what a year it's been for real estate in America. Wherever you live, local "experts" spew catch phrases like booming, hot, warming, cooling or ice cold. According to every major media outlet, the real estate market is on a significant decline, and with a new Congress, it's anyone's guess as to the future impact. Standing on a model sundeck of a new Rosarito condominium tower while taking in the panoramic ocean view, it's hard not to get swept away in the moment. Should we buy here? What about the last place we saw? Will the next one be even better? Other than price, amenities and location, is there anything else to consider? The answer is a resounding "Yes!" Why Baja California and why now? When one of the most decorated jockeys of our time, Willie Schumacher, was asked, "What's your secret to winning so many races?" he replied, "Sometimes it's just the horse you ride." While the local news has focused on Mexicans crossing the border into the United States, there is also a silent, growing southern migration going on. A new generation of Mexican homebuilders is developing homes with features and amenities unavailable in the United States at any price. Leveraging the lower land, labor and wholesale material costs, developers are offering buyers priced out of the north-of-the-border market affordable, quality homes in gated, landscaped neighborhoods that more resemble Tierrasanta than Tijuana, and customers are buying. With a view of the pristine waters of the Sea of Cortez and near a bustling, vibrant Mexican town, developers for the San Felipe Marina Golf Resort and Spa seek to offer homeowners affordable, beachfront properties, as opposed to the exorbitant prices of similar land parcels found in California and around the United States. As the Baja real estate market grows at a frenetic pace, the number of Americans driving south of the border is increasing as well. Whether you are driving down to Baja for business or pleasure, it is important to buy auto insurance for your trip across the border. The following Q&A examines some of the most common issues regarding Mexican auto insurance. On Monday, in sales outlets in Hawaii and Japan, Donald Trump set a new world record for single-day property sales, pawning off more than $700 million worth of condo hotels at his new five-star Waikiki resort within a matter of hours. Following the eviction of several longtime U.S. homeowners in Ensenada, Mexico, in the 1990s, Americans have been weary of buying land south of the border. To boost foreign investments, Stewart Title lends its services now to the Baja region, offering title insurance, escrow and closing services as one of the first and only U.S. company licensed by the Mexican government. Baja is a peninsula surrounded by water, yet drinking water is extremely scarce. Going on countless vacation trips to Mexico made it only natural for Tony Chapman to want to buy a home there. But like most Americans, he believed it was impossible for non-natives to purchase any property. This special section includes the official program guide to the Tourism Investment Summit & Real Estate Expo, updates on investment prospects and information on financing real estate in Baja and the Sea of Cortes. Throughout the year, The Transcript explores real estate investment opportunities south of the border, along with financing options, insurance, entitlement rights, legal updates and more.